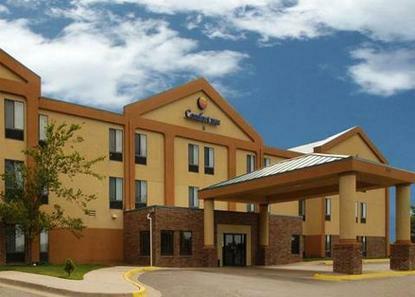 Extended Stay America Economy Kansas City Lenexa 95 Th St. The 100 percent smoke free hotel is centrally located to all Kansas City attractions and businesses. Close to Oak Park Mall and numerous restaurants. Hotel includes indoor pool and spa, exercise room, guest laundry, elevator and free wireless high-speed Internet. Free deluxe Comfort Sunshine breakfast includes fresh waffles, hard boiled eggs, assorted items inculding fruit, pastries, breads, cereals and juice. Royal Cup coffee. All rooms include free wireless high-speed Internet, microwave, refrigerator, coffee maker, iron/board, hair dryer, full length mirror, 25-inch cable TV w/HBO. Hot tub rooms available.